Home » US Cinema Charts October 6 2017 – Top 10 Movies Blade Runner??? 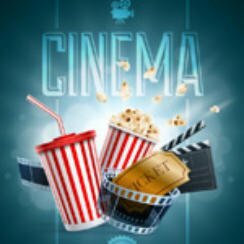 US Cinema Charts October 6 2017 – Top 10 Movies Blade Runner??? It’s that time of the week when we take a quick look at what movies are hot at the US cinema, these figures are for US cinema charts October 6 2017. One film has dominated the movie world over the last few days and there is no surprise that it’s Blade Runner 2049. Now it’s time to find out just hell well received the film actually was. The critics on the whole seemed to love it and consider it a worthy sequel to the 1982 masterpiece Blade Runner. Well cinema goers weren’t as convinced on checking it out on the first weekend as Warner Bros might have hoped for. That said Blade Runner 2049 still took the number one spot with takings of $32,753,122. According to a report on the BBC website Warner Bros were looking for more like between $45m and $50m. Early reports are it did very well in the UK around the £6 million mark, well have the official figures tomorrow. Elsewhere fellow new entry The Mountain Between Us starring Idris Elba & Kate Winslet enters at number two but only managed cinema takings of $10,551,336. Is this a worrying cinema trend occurring with only superhero films taking good money at the box office? It’s certainly worth keeping an eye on which we will certainly do. One other new entry inside the top ten movies was My Little Pony: The Movie which enters at four taking $8,885,899. Flatliners after just one week in the top 10 appears to be on its way out dropping from five to nine. One of this week’s new cinema releases is The Foreigner, more on that on Thursday. US Cinema Charts April 6 2018 A Quiet Place?